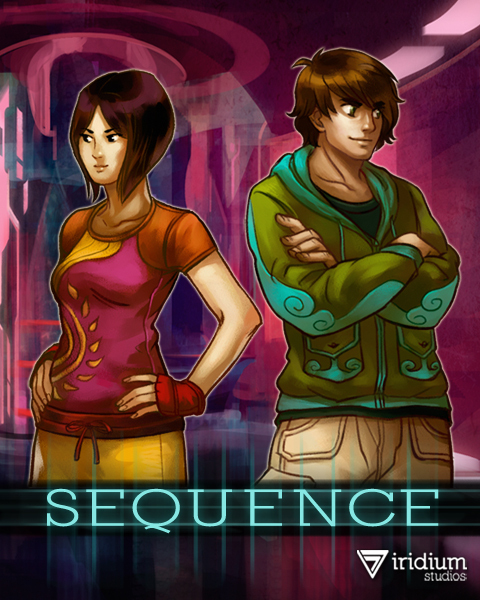 Sequence combines elements of both rhythm and role-playing games to create an entirely unique experience. Join Ky on his ascent of a mysterious Tower, guided onward by a mysterious girl named Naia. Encounter deadly monsters and ridiculous characters, and discover the grand scheme behind Ky's mysterious imprisonment...that is, if you can survive the journey. Summer is over and fall is on the horizon; for many it's time to go back to school! But don't let the "back-to-school blues" get you down, Indie Royale's got you covered with the Back to School Bundle featuring seven great indie games, including an exclusive debut for Bunny Must Die! from Rockin' Android! First up is a game where you can re-write history while you are studying it - Ronimo Games' side-scrolling real-time strategy game, Swords & Soldiers with the awesome Super Saucy Sausage Fest DLC, available for Windows, Mac and Linux on Steam, Desura and DRM-free. [NOTE: Super Saucy Sausage Fest DLC is not available for Linux users - apologies!] This beautifully crafted game offers humorous wit and solid game-play while you take control of the brutal Vikings, the devious Aztecs or the crafty Chinese in their global quest to win the favor of the Gods. The Super Saucy Sausage Fest DLC offers ten new campaigns, an improved challenge mode, and plenty of new spells and units. GameSpot praises Swords & Soldiers: "its simple controls and abounding good humour are likely to engage even those who have never dipped their controllers into the strategy pool." Next up is a space simulation game that's sure to inform your studies about the moon landing from Shovsoft, Lunar Flight available for Windows on Steam, Desura and DRM-free. This full 3D game is a re-imagining of the classic Atari game Lunar Lander and offers mission types involving transporting cargo, acquiring data at survey locations and locating lost cargo in a 3D world. DIYGamer raves about Lunar Flight, stating that it "sets the bar for Lunar Lander-likes (...) Shovsoft have created a fresh-faced and wonderfully playable space simulator that I urge everyone to try." As if that weren't enough, also featured is an exclusive debut that's sure to get your brain working with exploration-based platformer challenges, Bunny Must Die: Chelsea and the 7 Devils available for for Windows on Desura and DRM-free. This hilarious Japanese 'Metroidvania'-esque game is brought to you by Platine Dispositif and Rockin' Android, and features Bunny as she explores the Devil's' Labyrinth, using magical items like a Sylph Shooter and Hyper Heels to manipulate the fabric of time, solve puzzles and survive. You can't miss Bunny Must Die! which offers a comical style, hand-drawn 2-D graphics, a charming storyline and an unlockable character. Also included is a clever game that'll stimulate both the right and left sides of your brain by offering rhythm action and role-playing-game spellcasting -- Sequence from Iridium Studios, available for Windows on Steam, Desura and DRM-free. You'll play Ky, after he awakens imprisoned in a tower and has to ascend 7 levels of the tower guided with the help of a mysterious girl named Naia. With a standout in-game soundtrack that you fight along in time to, TruePCGaming praises Sequence for its dialogue developed by Jason Wishnov calling it "one of the funniest, well-written scripts that has ever graced a computer game." Additionally, this bundle includes two more games from Rockin' Android never before available in a bundle - the hidden Japanese shmup gems Flying Red Barrel - Diary of a Little Aviator and Qlione, available for for Windows on Desura and DRM-free. Orange_Juice's Flying Red Barrel offers colorful graphics and innovative scoring mechanics not to mention bullet hell shooting that's deliciously violent. Shindenken's Qlione is a unique 2-D shooter game that’s based on a lone amoeba and is equally challenging yet optically stunning, offering psychedelic vector backgrounds and gorgeous, splashy explosions! Last up is a violent yet disturbingly cute game that offers a welcome distraction from studying, Cute Things Dying Violently -- brought to you by ApathyWorks (along with its OST!) available for Windows on Desura and DRM-free. This goofy yet warped title, previously a critical hit on Xbox Live Indie Games, offers 60 mind-bending levels, half-dozen unlockable special levels, and according to Joystiq is a "delightful puzzle game" that you'll wanna try! You can find more information on Back to School Bundle, including real-time statistics and its current price, on its official website or via its Facebook and Twitter pages. And remember, you'll want to get in early while the prices are still low (unless kind purchasers lower the price) so that you can supplement your studies with the Back to School Bundle! 1st of all i have to mention that this game is called - Before the echo on steam. 9/10 next step from generic stepmania, where you have a visual novel part WITH rpg elements, so you have to play a rhytm game while attacking, protecting yourself or casting stuff. 10/10 soundtrack, 10/10 visuals, the only problem - this game could be too hard for the beginner who never played such games before and too easy for someone addicted to them. I made a habit of buying a couple extra copies and giving them to friends if that is an indication of how good this game is. Why does this not have comments? Seriously.. this was is a masterpiece. I have about 950 games on steam, only 20 of those games are in my favorites list, and THIS is one of them. Story is great, the gameplay is catchy, the characters are fun, and I've laughed myself silly on more the one occasion. Buy this game!